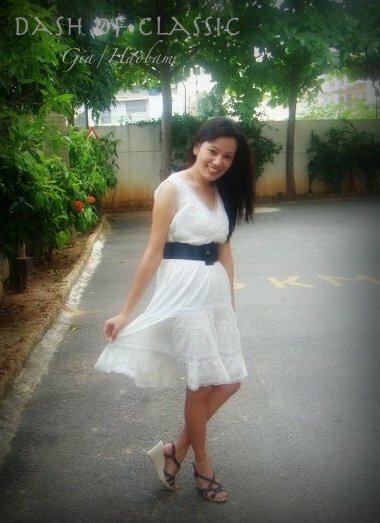 Well my dress, today as been inspired from fairytales stories, like Cinderella, Show White and so on. I have been always into fairytales story reading, every time I see any movies which are bit of fairytale I am completely involved in the character, trying to be in the skin. Hence I always keep a classic white dress (not the gown types) but you know much more into knee length, a touch of lace work and hands embroidery. Awww it’s so magical even to wear them, this takes me into different heights of enjoyment. Though I am not a Princess I feel like one ahem.